RE@L REPOST: A Powerful And Helpful Statement In "Education Week" By Anne Jolly Who Knows PBL And STEM Through And Through! RE@L presents a REALBLOG Re-Post! STEM is important to us, and Anne Jolly has been one of our Guest Bloggers on that STEM topic a few months back from a slightly different angle. You can read her previous, fine commentary right by clicking right here. So, how are you going to assess your students’ progress during and following your STEM lessons? And what, exactly, do you need to assess it? That’s a very difficult, and very important question. Anne presents strategies that she believes could truly improve the quality of instruction and increase engagement, by way of a recent edition of Education Week Teacher. We at RE@L believe in direct instruction. We know you believe in direct instruction. Why? Students need to know the basics in order to understand the concepts. They are the building blocks needed for the higher levels of learning: analysis, synthesis, and understanding. Students also need to know how to show that they know. That’s why they need a constructivist approach to learning, too. 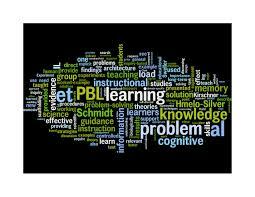 The letters PBL (Project Based Learning) must make sense to students if they are going to be able to collaborate and team with others in the adult workplace. Four very important ideas have come together in her fine article: STEM + PBL + ASSESSMENT + COLLABORATION. Let’s take a look inside her blog at some excerpts and also at some of the major points that Ms. Jolly made. Anne Jolly writes: “The guiding questions for my assessments are fundamental: What are students learning, how are they thinking, and what understandings and skills are they gaining as a result of this STEM lesson? You may choose different things to scrutinize from lesson to lesson, but here are five areas—in no particular order—that you may want to check during all lessons. Focus attention on identifying and solving real problems. Apply specific grade-level science and math concepts. Use an engineering-design process to guide their thinking and problem-solving. 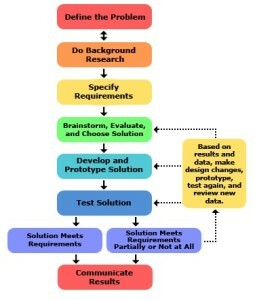 Create and test prototypes (technologies) as solutions. Check out my article “Six Characteristics of Great STEM lessons” for additional help in thinking about your STEM lesson design. Check the graphic at the left for more information. 2. Gauge students’ understanding of the science and math needed to solve the problem. Be intentional about helping students make specific math and science connections during the lesson. (That will generally not happen automatically.) As they work on their STEM challenge, observe whether they understand how to apply science and mathematics to solve a problem. 3. Look at student teamwork progress. Next, consider students’ progress in working as productive team members. You might keep good teamwork behaviors on students’ radar by asking them to do a brief 60-second self-assessment, individually or as teams, before each class begins. Questions might include: What behaviors did our team do well during our last lesson? Did all team members feel included and valued?What teamwork behaviors do we need to improve today? 4. Assess STEM skill development. Today’s fast-paced culture demands citizens and workers who understand how to tackle emerging problems as well as longstanding issues. STEM lessons help students build these skills. Have you seen evidence that your students are growing in their abilities to do these things? Come up with several different possible solutions for a problem. Combine materials and ideas in clever and imaginative ways to create a solution. Design a prototype and test it to see if this device solves the problem. Successfully evaluate their testing results, and analyze and interpret their data. Recognize things they can do to change and improve the design of the prototype. 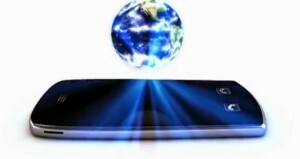 Communicate ideas in new and innovative ways. Probably one of best indicators your STEM lesson is having an impact on students is an increase in student enjoyment and interest in learning. Hopefully they no longer feel disconnected from the real world when studying science and math. Increasingly positive responses to their subject matter, plus an increase in student engagement and understanding, are real testaments to your teaching. Feel “safe” in expressing out-of-the-box imaginative ideas. Suggest increasingly creative ideas for solving a problem. Show increased persistence in sticking with finding solutions for a problem. Take ownership of their projects and learning. Express increasing curiosity and ask more questions. Transfer STEM practices to other subject areas. 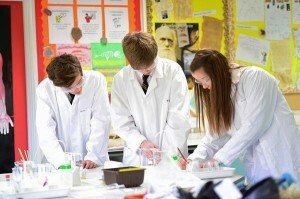 STEM classes should involve students in hands-on exploration and critical thinking. If you’ve successfully taught project-based learning (PBL) in the past, then chances are you made this transition with ease. The PBL teaching approach is STEM friendly and contains the necessary ingredients for STEM instructional success. Thanks, Anne Jolly for these great tips on using assessment and teamwork to make STEM learning stronger. Your article on the “Six Characteristics of Great STEM Lessons” is a keeper and should find a place in every teacher’s Resource Folder. The same can be said for your thoughts on the “engineering design process.” It’s the way of real world learning and it’s the way we think at RE@L, too. Readers, send us your thoughts/reactions/comments on this topic. Just email us at the address below!